There has been a recent, legitimate concern for the social and civil rights of many disinherited and marginalized communities. The movement for just spaces has seen a resurgence of people who have expressed a will to mobilize our profession in response to injustice in the built environment. Design Justice advocates for the dismantling of the privilege and power structures that use the design profession to maintain systems of injustice. It requires the profession to design for the dis-empowered, the oppressed and the disinherited who bear the brunt of the injustice in our built environment. 24 social impact architects, designers, and planners gathered this fall at the AIA Design Justice Summit. 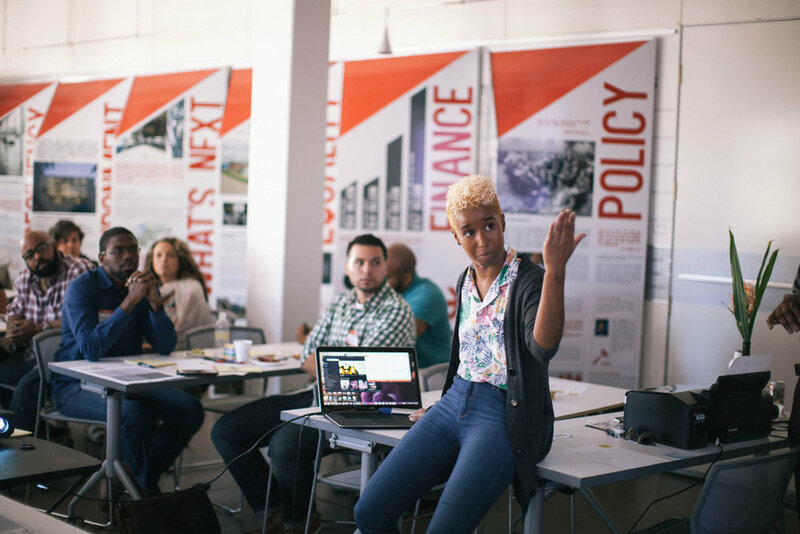 Working together, these advocates strove to develop realistic solutions that create innovative, progressive change and achieve design equity in communities of any size. The DJP is a living document developed to establish a socially and environmentally just code of ethics for operating as designers of the built environment. Through this platform, we acknowledge our role and responsibility in creating spaces of racial, cultural, and class equity. Through this platform we will organize, advocate, develop, and act to foster on a principled movement for a socially just profession. The DJP collects concerns and hopes for the future given the challenges our profession faces during the new administration and beyond. 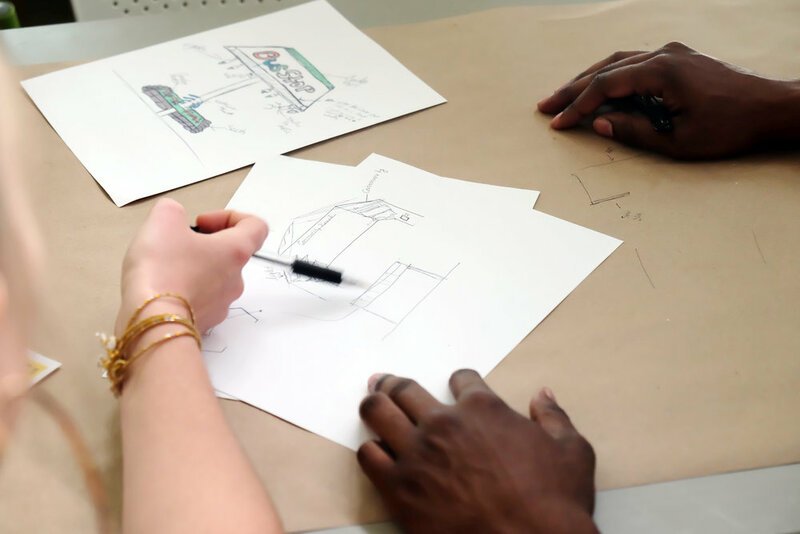 The Design Justice League will be a design and equity recreational league. Put together through a series of social justice gatherings designed to bring together community members, artist, activists, and designers in pursuit of justice in the built environment. 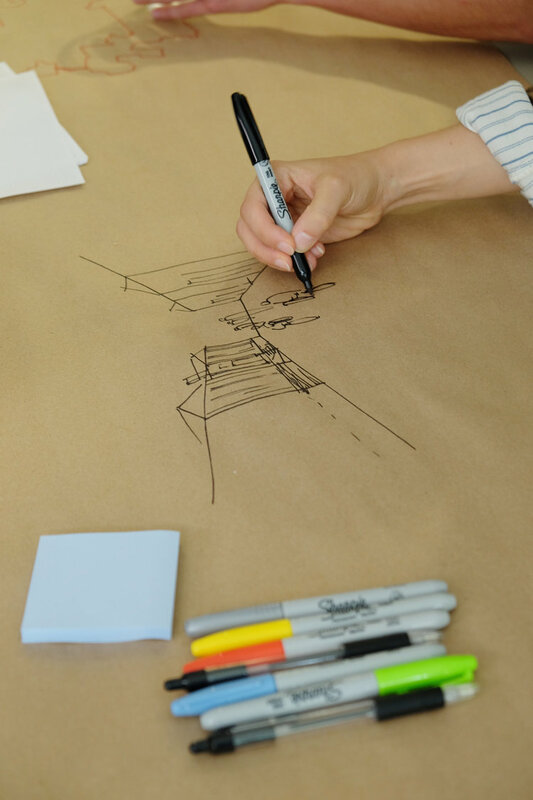 The League will provide a weekly opportunity for discussion and a framework for people to connect around our collective design challenges.